& Remote site is hosting server computer ..
HOW TO CREATE DATABSE & DATABSE USER & HOW TO ADD CREATED USER TO THAT CREATED DATABASE? STEP 1: AFTER LOGIN GO TO UNDER DATABSE SECTION & CLICK ON "MYSQL DATABASES"
STEP 3: THEN ADD NEW USER JUST SCROLL DOWN THE SAME PAGE & ENTER YOUR USERNAME & PASSWORD & AGAIN ENTER TO CONFIRM PASSWORD & CLICK ON CREATE A USER. STEP 5: AFTER CLICK ON ADD IT WILL ASK FOR MANAGE USER PRIVILEGES CHECK ALL PRIVILEGS & THEN CLICK ON MAKE CHANGES. 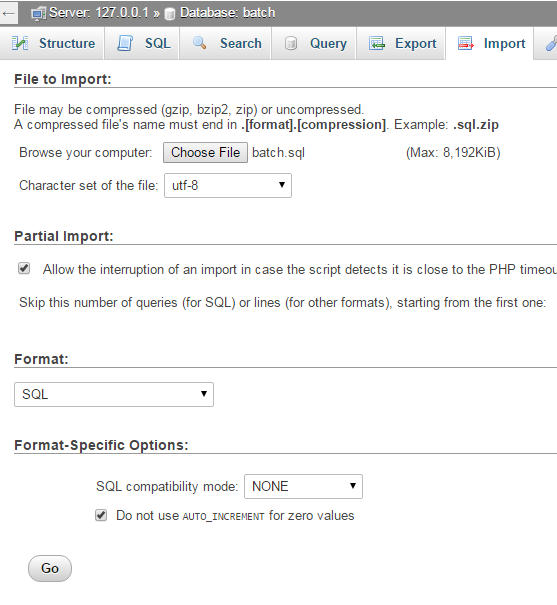 STEP 6: CLICK ON GO BACK THEN YOUR WILL SEE BELOW IMAGE NOW TO IMPORT YOUR DATABASE .SQL FILE CLICK ON "phpMyAdmin". 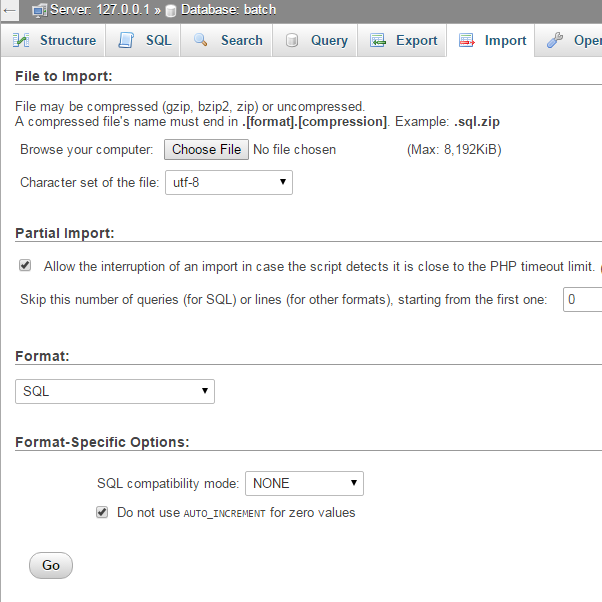 STEP 2: then select Format for exporting for MYSQL ALWAYS EXPORT FORMAT IN SQL. 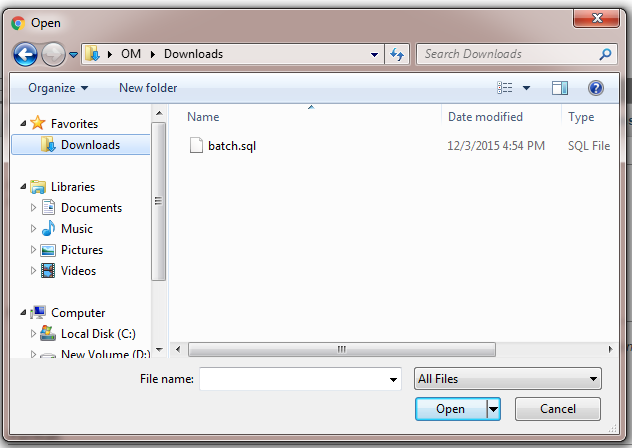 STEP 3: THEN YOU WILL GET batch.sql file. after that click on Go & then you will get message imported successfully..